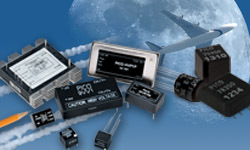 Pico Electronics, the leader in high quality, high reliability miniature power components, offers a full line of Converters: 2V - 10,000VDC Output; 1 - 300Watts Transformers and Inductors. Available in surface mount and thru-hole models. Custom models available. Proudly made in the USA.